The 2nd graders worked very hard on decorating a shoebox to collect their Valentine's treats. We partnered with our 5th grade "buddy class". The 5th graders got to judge and award all of the boxes for their many different attributes. This was so fun! 2H celebrated the 100th day of school with classroom activities, completing 100 math equations, making crowns with 100 items on them, and completing 100 piece puzzles in the library with 2C. 2nd graders are officially 100 days smarter! 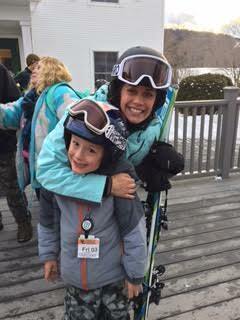 OQS students got to ski and enjoy cookies and hot chocolate with their teachers on the last ski Friday of the school year. This was such a memorable experience for students and teachers alike! 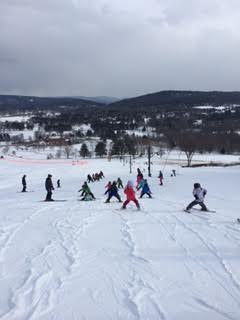 Throughout the ski school, students learned how to slow down, ski faster, and to have complete control of their body while doing a fun winter sport! 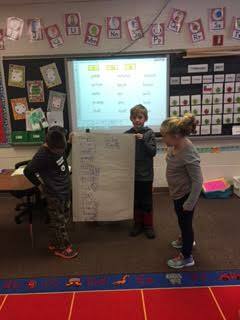 2H students practice their base word + suffix skills with a timed group game. The objective of the game was to create as many new words with suffixes after being given a list of base words. Each group got the chance to present their work when their time was up.